"With a background in fashion, I am passionate about inclusive fashion and leading a healthy and active lifestyle. I live in London and am sharing my knowledge and life experiences to raise awareness of inclusion, fashion, and healthy lifestyles. 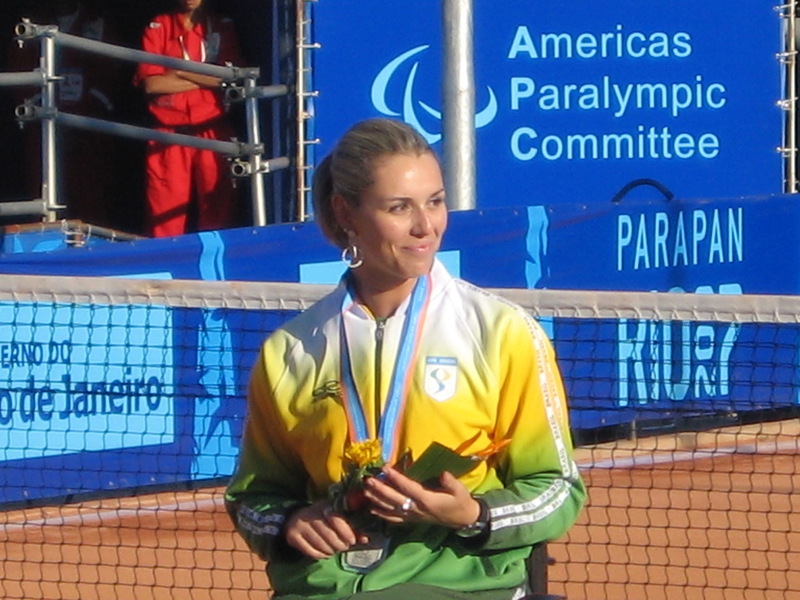 I have been in a wheelchair since 1992 and played wheelchair tennis from 2003 until 2009, representing Brazil and winning a doubles silver medal at the 2007 Para Pan Am Games. 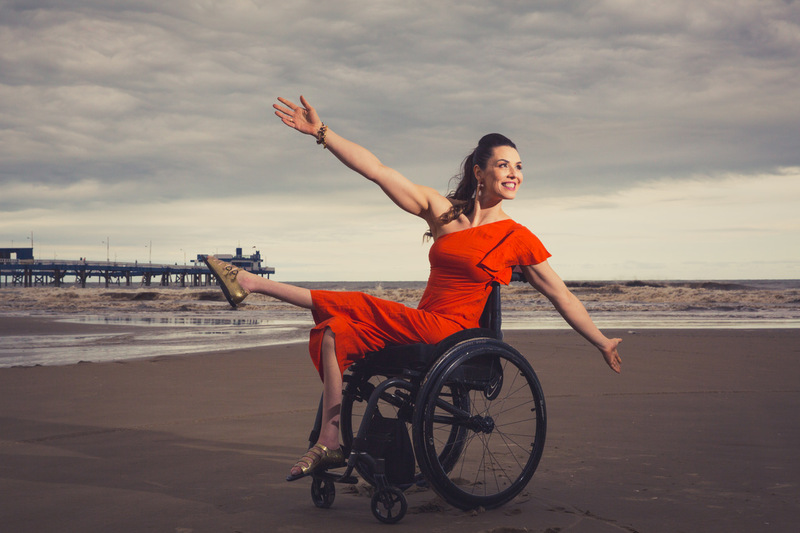 I am living proof that a wheelchair does not have to be an obstacle to achieving any of my goals. 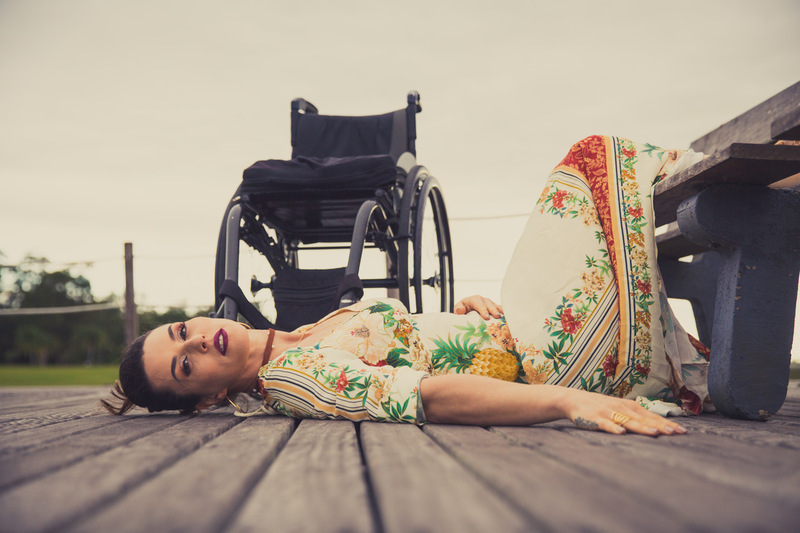 Born in 1978 in Osorio-Rio Grande do Sul in Brazil, my life changed forever at the tender age of 14 when a bullet wound left me paraplegic. Before my injury, I was a model and was very active, playing handball and tennis. 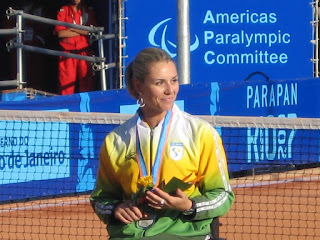 Since my accident, I have worked in politics, played tennis at the highest level and performed in the 2012 Paralympic Games Opening Ceremony, among many other achievements. I can now look back proudly at what I have already achieved since my accident and have every reason to feel optimistic about the future. I have had the chance to participate in London Fashion Week, Fashions Finest, International Dubai Fashion Week, Spoken London Fashion Week and London Alternative Fashion Week. I have also been in fashion shows in Portugal, Brazil, Spain and Turkey. As part of my journey to make fashion more accessible to everyone and the disabled population be more represented, I have been speaking in a number of conferences, events and schools. Fashion has the power to normalize things and embrace equality. It has been hard work, pushing for inclusion but a meaningful one and I am making it part of my journey. I invite you to be part of it, to work in the direction of more inclusive world. To make this new generation understand that all differences are welcome. Be with me, your opinion and presence are needed and I am happy to share my journey with you." mW: Thank you for sharing your powerful story with us! You have obviously gone through a devastating injury yet you have been able to accomplish so much since then. What helped to you to get through the tough times? SB: The thing is, I have been working every single day for years now, even when I am on holiday (vacation), I am making content. What you see is the result of a lot of work. I don’t focus on the big picture, I do one thing at time. The days I am in pain, I try to do my best on that day and see what is the best thing will help me to get through, sometimes it is a bath, other times it is to go swimming, have a nice tea, talk with someone that I love, meditation etc. It depends, but it is day by day, hour by hour. mW: What advice would you give someone with a recent injury or disability? SB: When the injury is recent, all senses and motions are still raw. We have a grief period; it is necessary - our past died and is reborn. Just believe, “all will be fine”, “all will be fine”. Relax and go step by step. Here is the process to rediscover what we can do such as pee, feelings, transfers, etc, celebrate each little conquer. Live day by day. mW: What compelled you to be an advocate for inclusion? SB: I was tired of being left out, to be carried around, with places that were not accessible, to get on buses on my bum because they aren’t accessible, to have buses close the door in your face, or not stop for you. I was tired of all this, missing accessibility and representation. For example, restaurants won’t be accessible if they don’t see the wheelchair user, as a consumer. We are not represented, why will they change? mW: Why did you choose fashion as a tool to promote inclusion? SB: Because I think fashion has the power. Everyone wears clothes. Fashion also empowers and gives us the confidence that we need. mW: Do you have any recent projects that you would like to share? 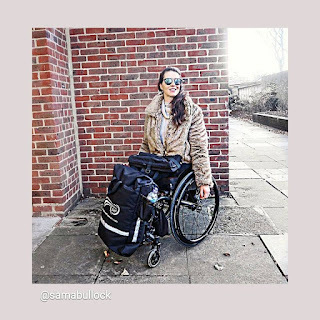 SB: I am helping fellow mobileWOMAN, Louise Sertsis from Advanced Freedom, design her wheelchair bag, the HandiPac, by giving her feedback. 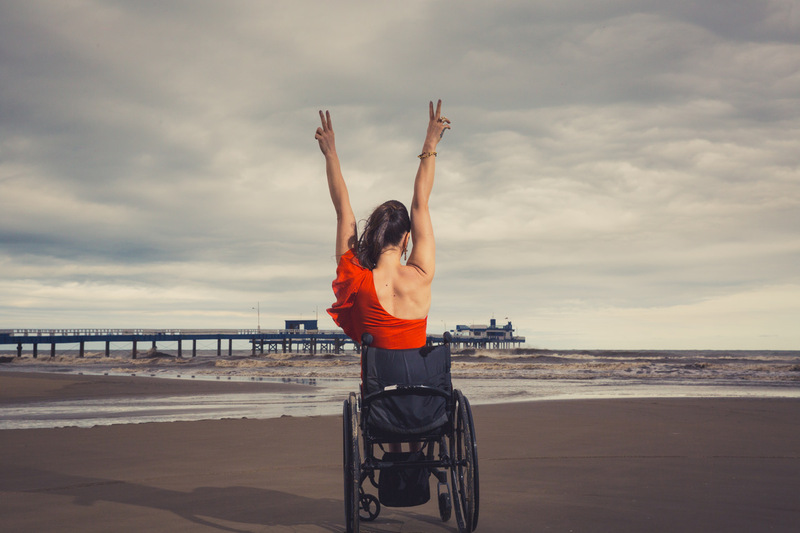 I think it has enormous potential to help people with Multiple Sclerosis and other different limitations, regain their freedom. I am doing my fashion shows and also, I am responsible at VisABLE People for the models division. 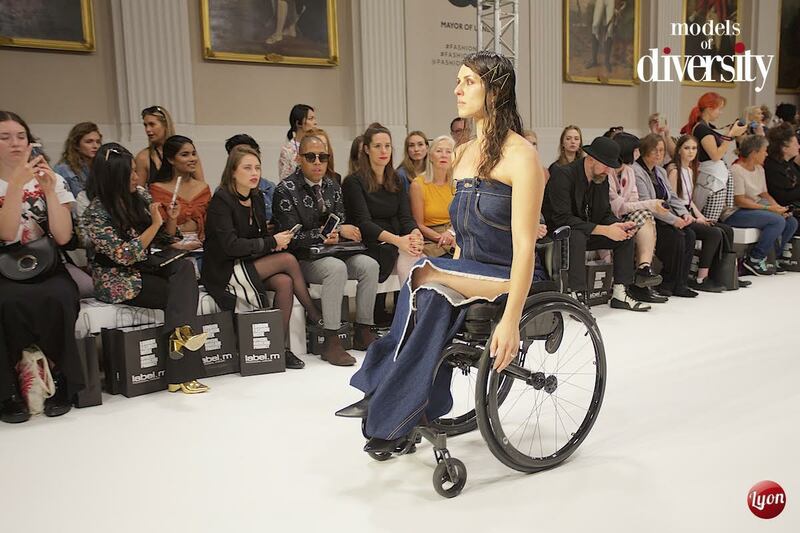 They are the world’s first initiative to create mainstream, professional opportunities for actors, presenters and models with disabilities. I have been with them for more than 10 years now and we decided to have a part of the agency just for the modelling element from now on. It is so exciting! I am also launching my new website with a lot of upcoming news so stay tuned! mW: What are your hopes and dreams for the future? SB: That we have the same rights as anyone else. That it doesn’t matter if you have a disability or not, you can go through a shop and buy something that fits you, that you have the right fitting room to try it, that the staff are comfortable with you... I mean, just to be treated as equal.